Sorry for the lull in blog postings. 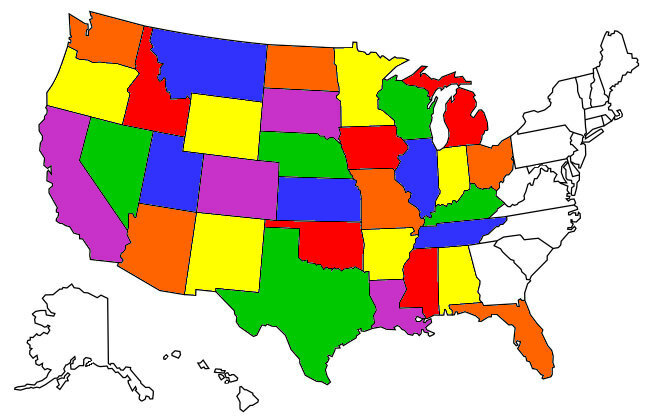 Since after Thanksgiving I was tethered to the Houston area due to dental work. One of my teeth split in two and had to be extracted. The dentist wanted to wait two weeks to let any swelling subside before she measured the "gap" for a bridge. Then it was another two weeks waiting for the bridge to get constructed and finally emplaced. During the roughly six weeks this took I stayed at several of my Houston area haunts like the FM 521 River Park which I reviewed here: FM521 River Park Review and the Fort Anahuac Park which I reviewed here: Fort Anahuac Park Review . I also stayed at a couple of Walmart s in Katy off and on as I tried to camp for free as much as I could having just invested $2900 in my mouth! 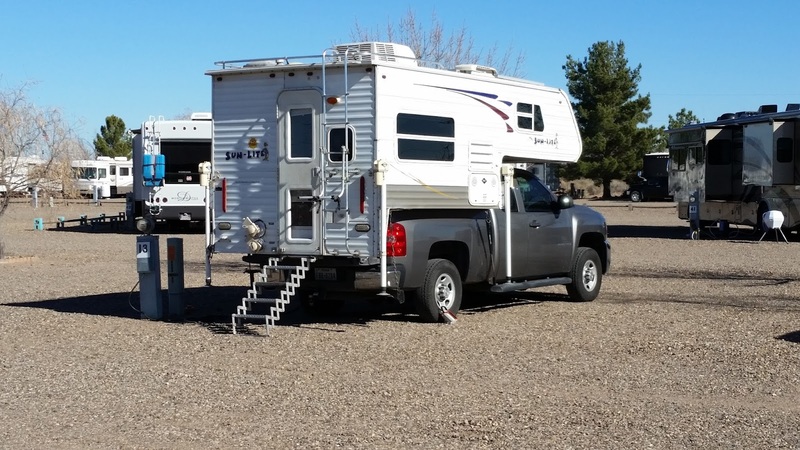 Finally all my friend, family and dental obligations were met and I'm free again and heading for Quartzite, AZ for the annual January mass camp-out and meet up. I didn't go last year so I'm looking forward to attending and am currently at the Escapee Dream Catcher RV Park in Deming, NM. where I've stayed several times. Catch a dream and you're sitting on top of the world! 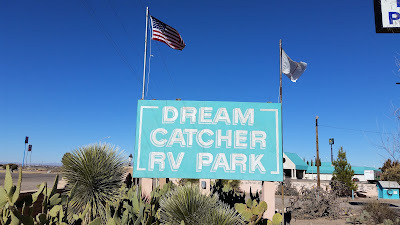 A cold front hit New Mexico and I wanted to have electric hookups to be able to run my electric space heater during the 29 degree nights so I chose to spend a weekend at Dream Catcher and also watch the NFL Wildcard games. I got some laundry done at the excellent laundry they have there too. The Tank on what is essentially a large gravel lot at Dream Catcher. So tomorrow I hit I-10 for Arizona, somewhat aiming at a casino in Scottsdale for a free overnight (as long as you don't lose) before the final leg to Quartzite which is almost on the California border along I-10.